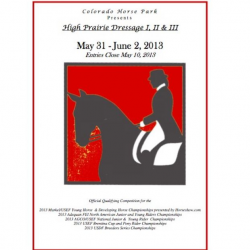 Parker, CO – May 23, 2013- Plan a fun, family weekend in a picturesque outdoor setting at the Colorado Horse Park (CHP) on Friday, May 31-Sunday, June 2. 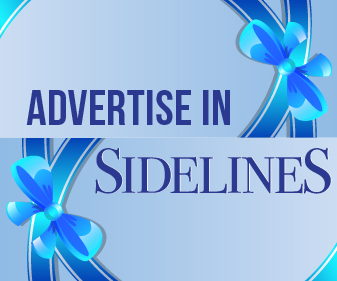 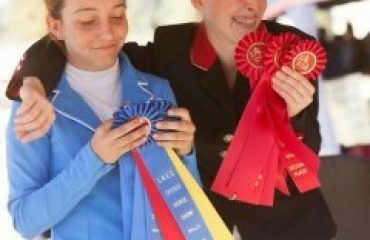 There you can watch horses and riders compete in the Olympic sport of dressage at the High Prairie Dressage I, II and III shows, a series of one-day events produced by the CHP and managed by Glenda McElroy of Cornerstone Event Management. 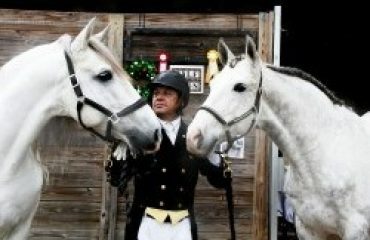 You can also catch some exciting three-day eventing, watch a local hunter/jumper show, do some serious shopping, enjoy lunch and snacks−all within the Colorado Horse Park grounds, located just minutes from Parker, CO.